The traditionally super-thin high-end GS Ghost series is going mainstream with the GeForce GTX 1050 starting at about 1800 Euros. 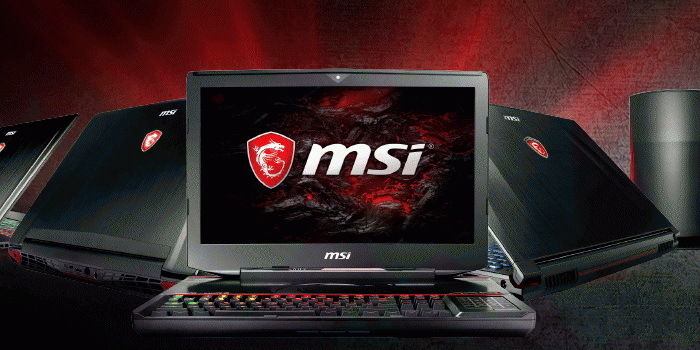 MSI unveiled nearly its entire lineup of gaming notebooks at CES 2017 and the mainstream models are finally ready to ship later this month. These include the GE62/GE72 Apache Pro series and super-thin GS63/GS73 Stealth Pro series all equipped with the new GTX 1050 or GTX 1050 Ti GPUs. As shown by our recent reviews, the new GTX 1050 GPUs perform in the same ball park as the Maxwell GTX 970M while consuming less power. The new SKUs will all make use of the recently revealed Kaby Lake i7-7700HQ as well. Previously, the 15.6-inch GS63 and 17.3-inch GS73 shipped only with the GTX 1060. The new GTX 1050 series should bring prices down to more affordable levels for the otherwise pricey GS series. Prices start at around 1800 Euros with 16 GB RAM, a 256 GB primary SSD, and a secondary 1 TB HDD for additional storage. The valuable 120 Hz/5 ms display option remains in place in addition to the SteelSeries keyboard, Thunderbolt 3 port, and Killer DoubleShot Pro depending on the model.